An Agility Gun? From the 4.3 Five Mans? Apologies if you're looking for a strategy guide. This is a musing look at making Ultraxion easier for me next time. I know I wasn't dps'ng at 100% efficiency on the kill. I could have been doing more things in the seconds right before needing to click the button... but it wasn't a safe option. Especially when the Fading Light debuff sometimes started at only 5sec and was hidden behind buffs. I could probably get a bit more dps out with practice. 1-5K dps maybe. But there are other safer options. One would be: I could reduce my dps but bring a cunning pet that increases spell damager's dps (via Lightning Breath). The cat or wolf does 3.1k dps and has direct synergy with me. A cat brings buffs like Roar of Courage, that may be covered elsewhere -- and a wolf brings Furious Howl. But I could lessen some of the damage with a few Roars of Sacrifice... though probably the only the last one toward the end of the fight is needed. I don't know what this will come out to be dps-wise. We'd have to check all the buffs. More to figure out... and it'll vary based on raid makeup. Another idea: ensure everyone is back in shadow before heroism is fired off. (+2K dps) I know I missed it at least on one attempt. The kill graph looks like my dps went down during heroism compared to everyone else. So I'm thinking it happened and I missed it. Another idea: don't have a dps die and need a brez (+2K dps) We frequently had dps die because they watched Deadly Boss Mods timers or screamed wrong things in their ears. 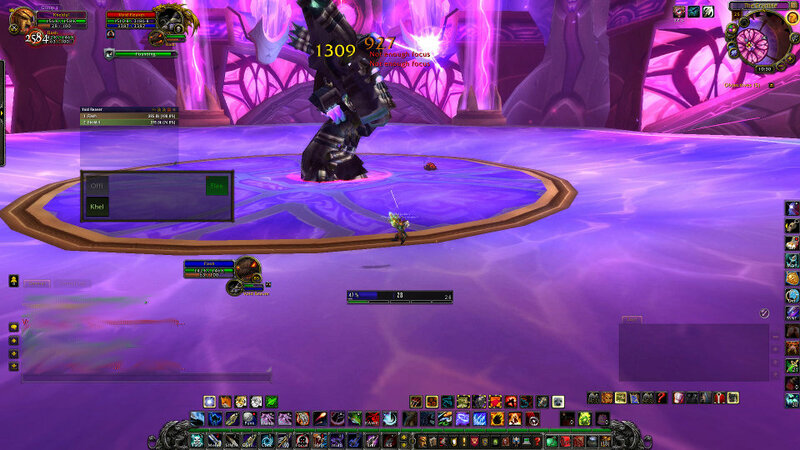 Make sure DBM is up to date and realize that the timers only show when an ability is about to start casting. Another idea: cycle in people with various 100% defensive CDs. Deterrence looks to mitigate 100%, so they could stay in instead of a tank taking damage which needs healing. Pallys could bubble, etc. Yet another this-time crazy idea: Go with two healers. Healing is "light" until the last third of the fight. Bring a person who can do some reasonable dps in the first 2/3rds of the fight and then start healing (with the third crystal's help). The extra damage might mean far less time in healing-hell time. Everyone, including the affected player, should remain stacked when the boss casts Seething Hate. This strategy will effectively mitigate the otherwise unsurvivable damage from this ability by distributing it between 8/23 players. Please note that even stepping a few yards away from the group can have devastating consequences as the damage is only distributed between players within 6 yards of the affected player. This has me wondering. Six yards the important number. And six yards is very very tiny. Very important. You do not want to eat it by yourself. So. Can hunters shoot the boss from melee or not? (Some bosses and boss adds allow it, some don't.) If they don't, we will need to get melee to swing from the farthest out they can -- and we'll stand a hair away from them. It looks like there's a 8 second cooldown on the ability, but it also appears that it may be an instant cast. 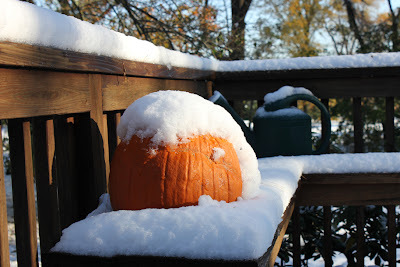 I'm kinda thankful that our progression slowed down a bit. In one night, we were 4/8 in DS 10man normal. The second night, and we're now 5/8. We "only" got one new boss down and a bunch of tries on the gunship. If we went too fast this would be gone in a flash. And the heroic versions don't look too fun. That said, the gunship doesn't look too hard. Pet bars will no longer sometimes disappear when zoning. 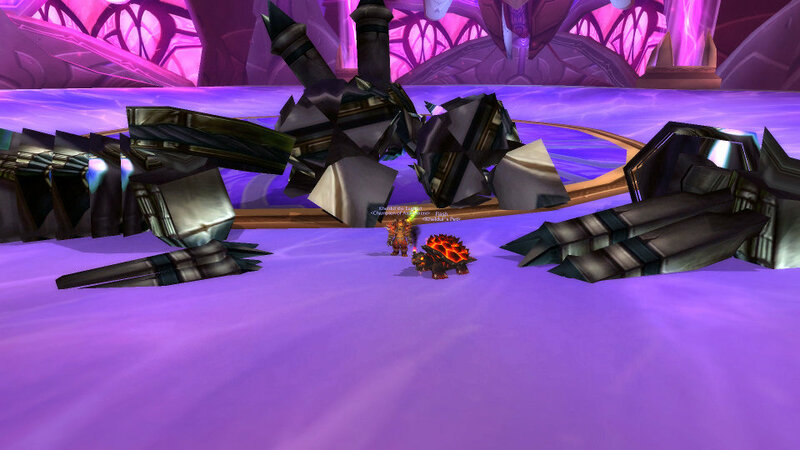 We walked into the Dragon Soul 10man normal on our first raid night this week and knocked over the first four bosses. The fifth didn't seem too bad, people just didn't have the UIs set up for it and we started a little late. This has me wondering if we'll be spending most of our raid time on heroic versions of the encounters. 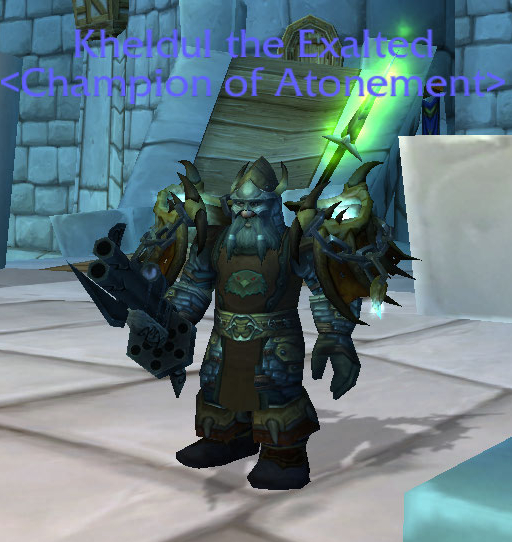 I got the tier shoulders and new boots. They match my set nicely. 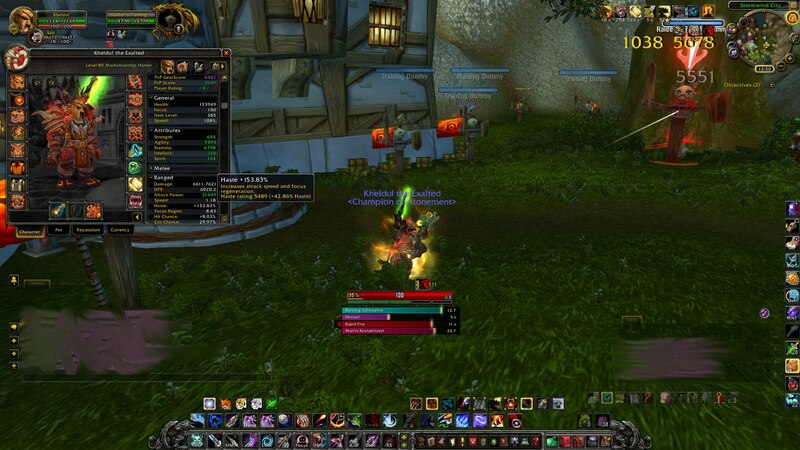 Test dps'ng a target dummy. Check. Get under but real close to 4k honor and 4k JP. Check. Run the three new 5 man instances. Check. Rake in gold in the AH by "creating value". Check. Two trinkets, improved steady shot, and a rapid fire equal +153% haste. I was trying to clock the individual steps of haste to see if is all multiplicative, but it was pretty late. I saw numbers go from 20% to 47% to 69% to 153%. 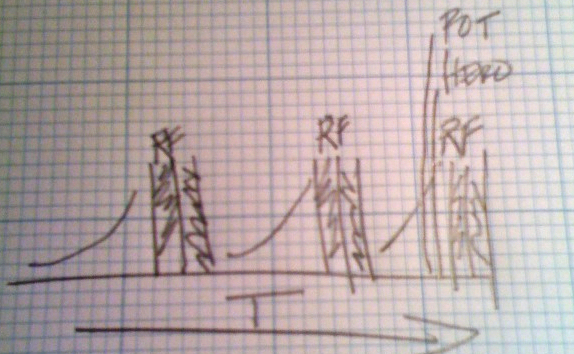 Then I tried to reproduce it and write down the haste ratings and couldn't for over half an hour. So all this is ... is eye-candy. 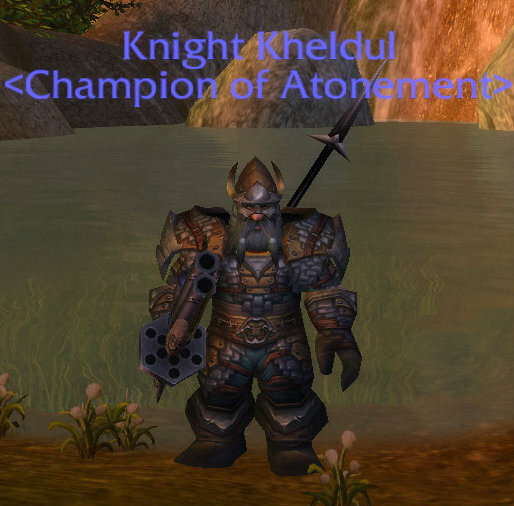 I had just made the NeedToKnow addon bars I was making for the trinket procs. I don't think I can monkey around with the proc of the Matrix Restabilizer to get it to do crit (via extreme reforging) because my Hungerer trinket proc will overwhelm it. They both certainly proc easy enough at the start of a fight. 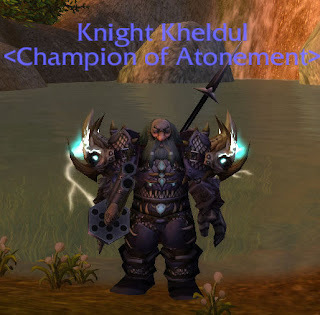 When you're working on a transmogrification set, please remember that different items often have exactly the same models. e.g.- These days, you can have a full set that looks like T12 but doesn't have any tier gear at all. Also keep in mind that some gear is no longer possible to obtain. That said, some of that impossible to obtain gear (think that old super-difficult to get-at-the-time "Dungeon Set 1") is coming back in patch 4.3 as obtainable as "Replica" armor. 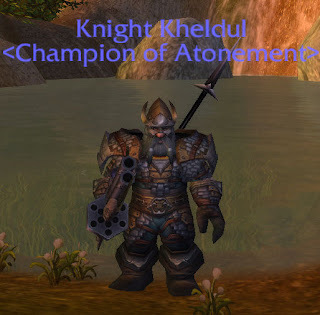 That's armor which is specifically for being used for transmog'ng and has no stats. I think there's also a level requirement. So, the above sets are nice. And sets can be nice. But really sometimes you can substitute out one piece for a solo, non-set piece and it looks almost the same. Or maybe you just like them better. For instance, I kinda like the Spored Tendrils Spaulders. It's a family of shoulders that are available in many ways. But they don't belong to any set. I found them super-cheap on the AH. The AH has a great little checkbox that lets you see the item as it would look equipped. Try it out. There are a surprising number of vendors out there. When I was putting together my sets, I hit up vendors all over the place. Some require raid drop tokens. Some honor. Some justice points. 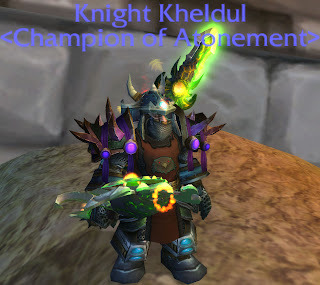 I traveled to the Isle of Quel'Danas for old PvP tier and non-tier gear, to Shattrath for a cloak, and hit the legacy PvP vendors in Stormwind (I'm a dwaft dammit.) But this is a tiny subset of the vendors still hanging out waiting to serve you. Note: if you want to do some Honor or Justice sales and you regularly hit the 4k cap, you definitely should make your purchases before the end of the season when Valor and Conquest fall into Justice and Honor and prices reset. There are a very small number of boot differences out there. If you're looking for a wild color, you may not get it if it isn't already "in a set". Otherwise, you most likely have something that matches already. Bracers will often not even be a factor in display. The AH approach works especially well with belts. Belts tend to have a lot of transparency in them so the armor itself will dominate them. This isn't always the case, but browsing belts is an easy thing. I haven't found the best source for a cloak transmog service. But this one is close. It still takes a lot of work. Most good cloaks are not available from the AH. You'll need to farm or buy them for small amounts of points. Last but definitely not least are our weapons. I don't think we really need to talk too much about style options here. If you've been playing your hunter for a while, you have developed a friendship with your favorite stat sticks and ranged weapons. If you have trouble remembering some of the guns available, you can look back on my Ole' Gun Rack Post. Focus Fire is going to last 20 seconds instead of just 15 seconds. I would guess that the CD also becomes 20 seconds. Yes, a longer buff is nice. But it says one thing to me: BM hunters were blowing it as soon as it was available and not trying to get more stacks of Frenzy. So now BMs have more time for additional Frenzy stacks to pile up. When they get a large stack they should blow other CDs to multiply the effect. So yes, this is an easy buff, but in the right hands and care it could be used as a larger buff. I've always felt there was more to be gained there. But I couldn't see how to squeeze it much more without adding a huge amount of complexity. This was greatly reinforced when Kripparrian said that he just macro'd them into all his shots when he did Heroic Rag in a BM spec. (So he just got whatever stacks he got every 15 seconds.) Of course that's about as top-line raid awareness as it gets, so over-complex application of abilities isn't that desirable. T.N.T is going to proc much more of the time. It will go from a 12% chance to 20% chance. That's a beautiful thing for improving single target DPS. It will fix the issue with just waiting and waiting for abilities to come off CD. And it might even help some of the focus starvation. It will certainly give SV hunters a little more to think about in balancing out their attacks and ensuring the DoTs keep being applied. 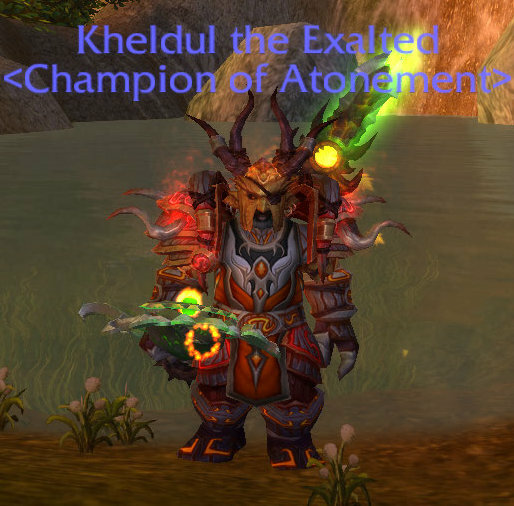 My current PvE Firelands gear (heroic and non). My rustic look for transmog PvE. My "I am a bozo Pet Tanker" transmog set. My current PvP gear (Ruthless and Vicious). 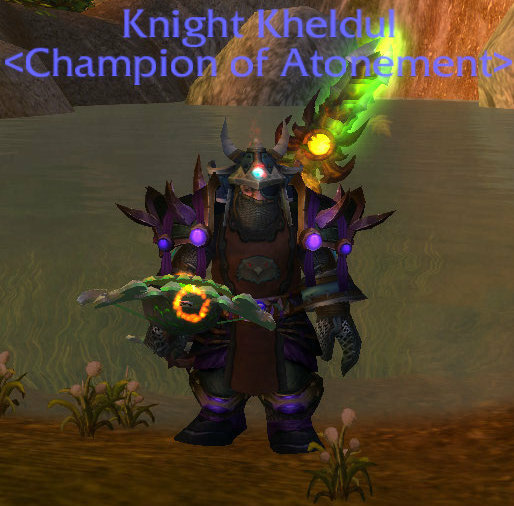 My black shaded transmog PvP gear. 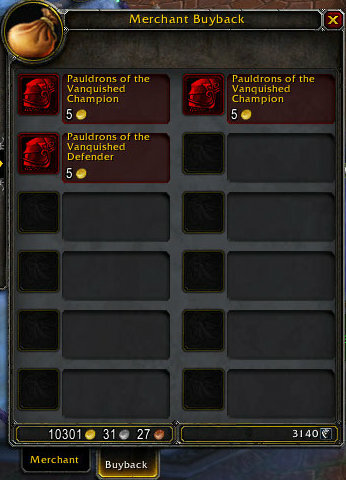 I'm looking for the Merciless Gladiator's Chain Spaulders for one of my transmorgrify sets. Every hunter should solo Loot Reaver once. The nice thing is that it's easy. ;-) Click any image for a slide show. so I didn't even need to use mend pet or pull him out for stomps. The mortars he throws are of course "old school"
and don't have those ground target sign effects. even need to move around unless you want to dance a little. The trash is more difficult than the boss. three T5 tier tokens. Of course no hunter tokens. So, I guess I'll come back next week. As a consolation gift you get 250g cash too. No running water, electricity, phone, or internet. Good trick! Wowhead has a new MoP talent tool up. The particulars of the talents will be changing a fair amount I'm sure. Some of them just don't quite seem balanced. That said, give them a try. Here's my PvE build and my PvP build. No minimum range! No worries on melee weapons! 1:49PM Hunter melee weapons gone. 1:49PM "Nothing is a hunter weapon." - GC. 1:50PM Range slot for all other characters gone. I already wrote about my shoulders and how I hate the T11 and opted for the PvP ones. Well here's the visual of what I raid with, PvP with, and what I think I may transmorg to. PvP gears not especially stealthy. A nice authentic Dwarvish look. This post is just about Kheldul's gear. Feel to ignore. I've been really jones'n to get rid of my extremely ugly, goiterish merlock scavanged shoulders resembling a bubonic plague attack. I had missed a few pre-nerf Thursday raids where we usually took down Domo. So anyway, as a backup-plan to not getting any love from Beth'tilac or a fifth T12 token I started dumping Valor into Conquest. After yesterday's raid I went and got my backup PvP item. 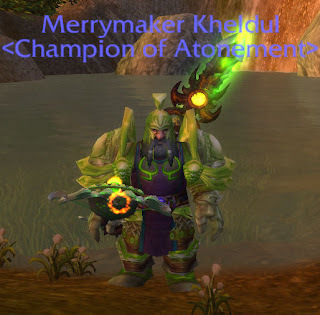 The phrase, "It's better to look good than to feel good" may apply until 4.3 drops. Of course the agility is nothing to sneeze at. Oh and in the raid, I got our first heroic upgrade, so my plans on getting the 378 gun are history. We had putz'd around and killed the spider boss, Bael, and Aly. We had Heroic Shannox in mind but were hoping our normal raid leader would show up. But we were standing in Baelroc's cleared room and I suggested it might be a nice place to fight Shannox. It so happens that it's the place Shannox spawns (right in the middle). And it was a very nice place to fight him. There was no clutter, a lot of symmetry, and ranges were easy to understand. We got Heroic Shannox on the second try. On the first try our Riplimb tank was using immobilization traps all over (and sometimes way out of range) and not leaving any for Rageface. That wasn't too bad. The mage and I kited Rageface to drop stacks, but then there was a rageface on our Riplimb tank who was at extreme range. But the second shot was pretty simple. I know they will probably change it into a crossbow. I know they will probably have it sound like a bow. I know it will be replaced by the first raid drop bow. But it's a gun. And I'm a Dwarf Hunter. If you regularly hit and stay at 100 focus then you're rotation is wrong in some way, right? My answer is: yes, but I end up doing it now as a marksman hunter. And I do it much more often now thanks to having the Burning Adrenaline buff active (from 4pc T12). This can have you completely swimming in focus. And it has a bug that makes that swim in a lake instead of a pool. Here's the issue. Some shots only register when they land on the target. The Burning Adrenaline buff is only removed when the shot lands. If you are far away from the target there is a travel time to the target. Say you're a MM hunter. You have the buff and have 100 focus, fire a "hardcast" Aimed Shot and then immediately a Chimera Shot. The buff will be consumed and both shots will be free. This in theory is a boon, but really it just screws up all sense of rhythm for the MM hunter. MM hunters always want to do two steady shots in a row to keep their +15% haste buff rolling. Letting that drop is a bad thing. They also have a fairly close call on their Chimera Shot. Letting the sting fall off is a bad thing. And they're good hunters who have trained themselves that capping focus is bad which is exactly what will happen after allowing Burning Adrenaline to consume an Aimed Shot. So what is there to reach for for a MM hunter? Firing two or three Arcane Shots takes a lot of time and will let something in your rotation fall. 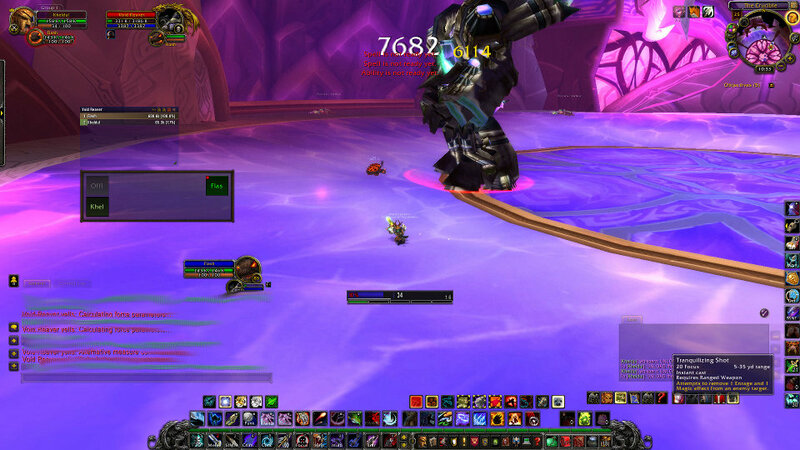 Hitting Kill Command eats a big chunk in one shot for a little DPS ... and it might not actually work if your pet isn't meleeing. I think the right approach is to try and lob in as many Arcane Shots as possible and try to at least start the first SS while your ISS buff is still active. This may cap your focus a bit too long. KC may be better. But choosing Arcanes will set MM up nicely for the T13 bonus and it works for our BM and SV specs too. Of course BM or SV should prefer to use KC and ES as always, but sprinkling in Arcanes is good for them too. Take four minutes of your busy in-wow time and visit a target dummy. Do this if you're a novice. Do this if you're advanced. Plow damage on the poor wooden thing. While you're doing that, look at the things you don't normally look at on your screen. Check your proc'd buffs. Watch your timers. Look at your key-presses. See if your UI is showing you what you need to see and if it's pushing away the junk you don't need to see. I bet in those four minutes you will find something you want to change -- and it will improve your play. It might be getting a mod that alerts you to a proc. I used to use Power Auras but I fell out of love with it. I want to know the precise duration for a proc and sometimes even the internal timer for it to be available again. I like a nice visible progress bar, so I use NeedToKnow. When I visit a target dummy I am there to add something. I always end up tweaking something else. Sometimes I remove something. Too much information can be worse than too little. Your brain starts filtering out stuff and you fail to notice important things. Changing colors of UI components can help. Making small macros. Moving things around. And there's also the opportunity to try new mods out. 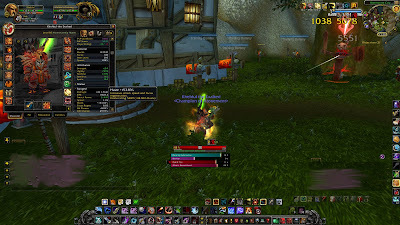 Since I know your time is limited I'll only recommend one addon you may not have heard about: JS' Hunter Bar which is now re-written as Serenity. It presents a focus bar with color shifting levels, shot availability, stings, CC timers, hunter mark status, and if something targeted needs tranq shotting. I really have to say that it is quite powerful, well-organized, compact and doesn't tell you more than you need. I use it in conjunction with a few NeedToKnow timers. Eidotrope over at outdps.com suggests a number of ways to make hunter pet tanking a viable tanking option. I do truly like the notion of pet tanking. I have a mostly 378 item level pet tanking set gemmed and enchanted for mostly stamina for raid tanking. But pet tanking is in a sad state. One of my main concerns is that one tree would become a tanking tree. This seems like a wrong move. It would inevitably be the beast master tree, and I don't think that is a perfect match. Aspect of the Beast (redesigned) is a hunter aspect that can be used with a tenacity pet. When activated, it switches your bars, and has the character "ride" the pet. All tenacity pet abilities are still possible through direct control. In this aspect, the hunter is completely focused on controlling the pet and takes no direct actions. Because the hunter is not firing his weapon they are able to much more actively handle their pet; They help the pet cause more damage and threat with a better understanding of their opponent's weaknesses and they help the pet avoid a substantial amount of damage similar to druids. Some pet abilities that are currently from pet talents would need to become baseline pet abilities. Other abilities would need to be strengthened for proper tanking and boss tanking. 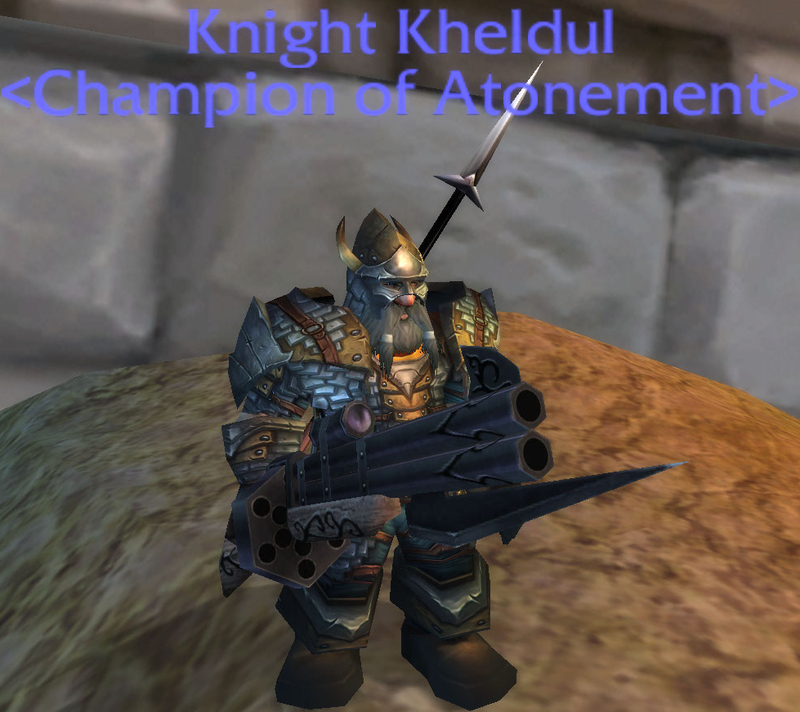 So, the nerf seemed pretty huge. I was away for business last week, but the group did everything except Rag in one night. That isn't new. We usually got that with our normal group. The big part was that the group had two or three people in the ten man that hadn't been on [m]any runs before. So last night we went in and kicked Rag's belly and got him in the first hour. Of course on the kill I got killed by a few un-healed Ragnaros lava bolts. But again, that was because we barely knew what we were doing with the meteors and were using way too much of the platform. But a brez fixed the problem. In any case, if you're guild is like ours you'll be looking at which heroic modes to try out. Our raid leader posted these stats on heroic boss kill order. Unfortunately, I don't know exactly where to credit the numbers to. Heroic Shannox is one hunters have a good role in. Get a mental picture of the important things you're going to do before you start a boss fight. Specifically, think about the transitions, think about if you're going to need any burn phases or any AoE phases. Understand what talent tree will get you and how you'll operate with that spec. Plan when you want to rapid fire(s) to maximize its use but also to maximize it against specific targets (e.g.- when they're > 90% health). Plan your on-use trinkets based on the rapid fire and bloodlust/heroism. Plan when you need to already be at max focus for a phase transition instead of trying to scrape together focus. 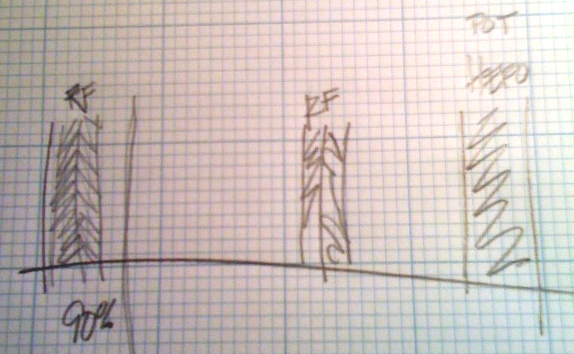 Somewhat independent of the particular fight transitions, you should know how long the specific fight will be. How many times should you be able to use Rapid Fire? When will bloodlust/heroism kick in? For on-use trinkets, how and when will you use them? Will you be using a DPS potion or a health potion on the fight? Generally, you want to stack your "power up" buffs. Use your trinkets as often as possible, but do use them during rapid fire. For proc events, monitor them. They'll usually pop pretty soon into a fight, when they do pop your manual power ups to multiply the benefit. This doesn't happen much in Cataclysm, but it used to sometimes be prudent to not blow everything at once. There were some level 80 boss encounters where you might blow everything and then find yourself incapacitated for a substantial amount of time. In those types of fights, spreading out some of the risk was more prudent. I'm the hunter class leader for my guild. This was a bigger deal when we were actively raiding 25mans. Now it's just a level of leader within the guild. But I do evaluate applications for raiders. For a ten-man raid, we like to have 15 or more active raiders so we can have a good group on any particular night. People are absent some nights and you want to keep a balance of tanks, heals, and damage. So we try to keep a few hunters on the raiding roster -- active or non. We take posted applications ("apps") for raider positions. When I look at an app, I want to see it written well. It isn't a resume, but it is a reflection of the person behind it. Will the person mix well? After that, I go through a little checklist. I look at the gear. Does it all make sense? Is it what they should be wearing at that stage of the game? If they haven't done any FL content, have they done what they could with normal Valor points? Have they done what they can with rewards from dailies? AH items? Rep? Specifically, do they have the iLevel 365 items? The two rings. The boots. The cloak. How are they progressing on the three tier-12 items? The bracers? The neck? Then I look at gems and enchants. Do they have the appropriate bonuses for BS, LW, Ench, JC, etc? Are they using Agility gems unless they get a +20 agility socket bonus? Do they have the helm and shoulder rep enchants? Do they have the right meta gem? Did they get a belt buckle? The enchants don't need to be the most expensive versions, but really those prices are coming down a lot. Then I look at talents. Are they completely nuts, or is it a reasonable approximation of a good spec? Then if things look okay so far, I look at their reforging. I load them up in femaledwarf.com and/or askmrrobot.com. I really like to see their hit really close to 100%. I want to see mastery sacrificed for crit and haste. And finally, to know what they know, I look at what boss kills they've done and how many times they've done them. 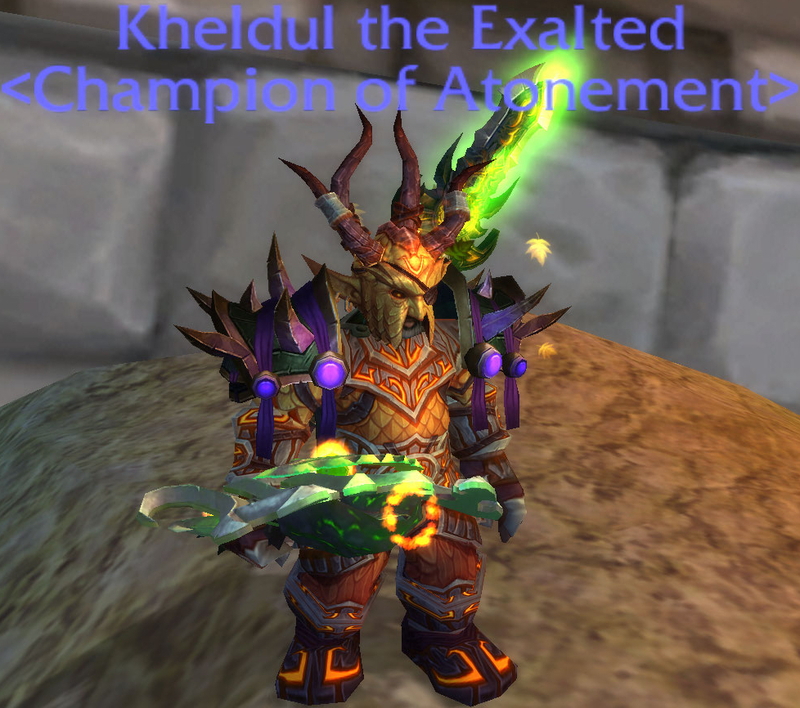 Proper enchants and rep enchants. I plan on going through my two dozen hunter DPS tips -- clean them off -- prune them for patch differences -- and lay them out once again all nice and pretty. My DNS server was under water thanks to a basement rack in the lovely north-east and Hurricane Irene. But we are back in action once again! Despite my inner voice yelling, "OMFG! Don't go there!" I'm feeling the need to "help". Sure you wouldn't want to "help" a random stranger and suggest things they should be doing in a 5man or PUG raid. It won't be taken constructively. My rational side however is telling me that people visiting a site called "Hunter DPS" want to know these things. The below graphs show the average DPS of hunters of a given talent tree over the course of the last 180 days. The data comes from all the public combat logs uploaded to worldoflogs.com and is parsed and prepared by raidbots. This data is from all raid bosses. DPS increases as gear increases over time. The graphs are a breakdown by raid size. I include the 10-man and 25-man raid data here. I'm excluding all the heroic raids. There isn't enough data there to be fair to beast mastery. And for the most part, heroic raiders have already leveraged information like this and skew the scales. In the 10-man normal raid DPS chart we can see that all the specs were very competitive with each other in patch 4.0.x and 4.1.x. But then 4.2 happened. MM and SV received nice benefits from 4.2 in talents and gear. BM continued to plug away on its previous course without much benefit. When looked at in 25-man normal raids, we see a different picture. SV appears to be at the same level it is in 10-man normal raids. It appears to receive no significant synergy benefit from being in a larger raid with every buff covered. BM however does benefit significantly more in 25-man. But far and away MM leaps to new heights. Then I looked at what T12 fights MM is not top dog. I was surprised. MM is top on every fight even the AoE-heavy ones like Beth'tilac and Lord Rhyolith. 10-man or 25-man ... it doesn't matter. Mind you, SV is close and very much able to top a particular MM hunter, but the majority of MM hunters do better than the majority of SV hunters in the parses. It was true that BM, SV, and MM were all quite close in damage dealing back in the end of June. Since July, taken as a whole, MM hunters are topping SV and BM. Often by a lot. MM hunters can pump out enough AoE damage to top SV hunters on AoE-heavy fights. If you're looking at spending time with a target dummy, you might try swapping out one of your talent trees and try MM. But as always, you should always play what you know best and feel best playing. On normal fights, the boss is going to die if everyone is playing well and you are doing reasonable damage.